Exercising is considered by many as an art. Although anyone can perform an exercise routine, not everyone achieves the results they should. This is mainly due to the lack of knowledge of the benefits of each exercise, together with a bad combination of meals. In that sense, it is common for many people to find it easier to go to the gym once they have finished with their work or school. And it’s right here when the million dollar question comes up: what to eat after workout at night? If you want to take advantage of your training, you have needed to follow a perfect routine. We explained in the article about what to eat after workout at night. WHAT TO DO AFTER WORKOUT? Replace all the fluid that has been lost during training. Facilitate our body to eliminate toxins and waste. That you have exercised does not mean that now you can eat anything you want or swell to eat, if you are not careful you may end up eating more calories than you have burned during training. It is normal that you really want to eat fatty foods, but it is something that you should avoid if you do not want to spoil all your effort. To avoid this, a good option is to bring some fruit, cereals, nuts or yogurt in your sports bag to make the first bite after training and avoid hunger making you make a mistake. If what we want is to increase the volume of our muscles we will need proteins and carbohydrates to stimulate hypertrophy. If we seek to lose weight, we should prioritize low sugar foods that are slow to absorb so that our body continues to burn fat. Then we will explain in different sections what to eat after training depending on the objective you have in mind, we will also explain what you should eat if you train at night, a situation that presents many doubts to many people. In a society as fast and stressful as today, many people can not enjoy all the time they want to train, so they have no choice but to exercise once they leave work; in the afternoon or at night. These people have a recurring question, what to eat after workout at night? First of all, keep in mind that post-workout food is one of the most important of the day, especially if you do strength exercises or interval training. By practicing these efforts on your muscles, small cracks are made – synthesis of proteins – that need to be repaired through the proteins that you provide with your diet. Another important aspect is that of glycogen, because with exercise you consume the reserves of sugar that are present in your muscles, a situation that you can only reverse through food. The best food for after training is a mixture of carbohydrates and proteins, but people who train late may have doubts about what happens if you eat it before going to sleep, when your body uses few sugars and transforms them into fats. The solution is easy, change the order of the dinner with the one of the snack. That is, make a bigger and stronger intake two hours before training , with carbohydrates and proteins and after training make a light dinner with carbohydrates in small quantities. 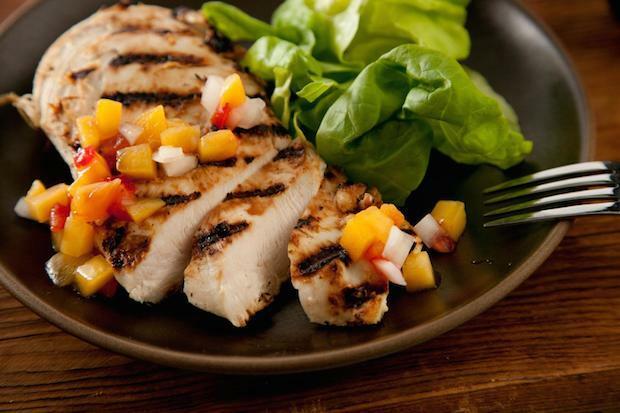 This dinner is ideal for after training. 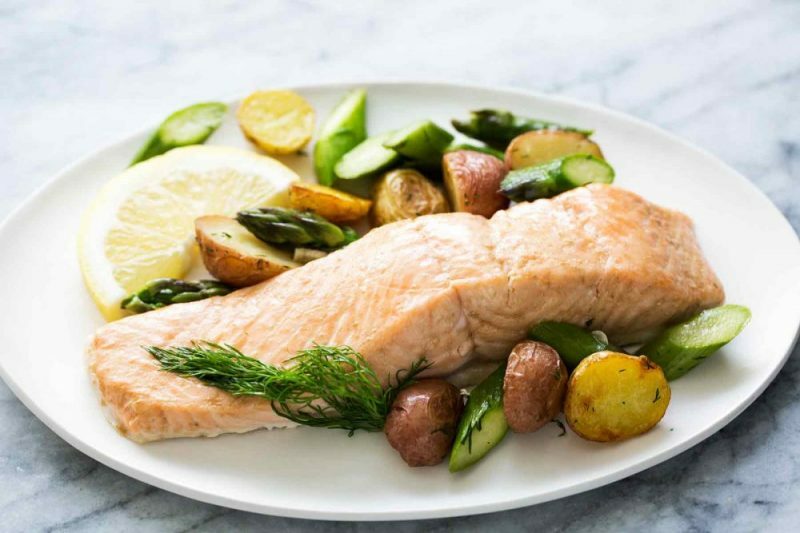 Salmon, besides being a protein of high biological value, is a blue fish that gives you essential fatty acids that are very important for inflammatory processes. In addition, the vegetable stew with potato, is rich in carbohydrates for the replacement of muscle glycogen and provides multiple vitamins and minerals. The leaves of spinach are very rich in vitamins and minerals, among which potassium stands out (mineral that is lost during exercise especially when the weather is hot). Together with pasta ties, it provides you with those carbohydrates that are so necessary to replenish the body’s glucose reserves and replenish lost energy. Also, if you add a protein with all the essential amino acids and low in fat such as chicken, it is the perfect combination. This dinner is for the most lazy athletes, but it does not stop being a very good choice. Rye bread is a great choice as a carbohydrate, tuna is a high-quality organic protein low in fat and ideal for recovery and muscle growth, lettuce essential to replenish fluids vitamins and minerals, and avocado, is perfect for those days in which the training has been intense and you need in addition to essential fatty acids for inflammatory processes, a good contribution of energy. The egg is the reference protein and is considered the perfect protein food, so it could not be missing from this list. If you also combine it with wild rice, there will be an optimal and rapid recovery of muscle glycogen and a good supply of fiber . It is important that in each dish add vegetables, (peppers), since they can not miss a healthy diet because of their high fiber, water, and vitamins and minerals. The more colorful vegetables there are in your dishes the better, since each vegetable has a different color for its pigments (antioxidants), so the more color your dish carries, the more antioxidants you will be consuming. 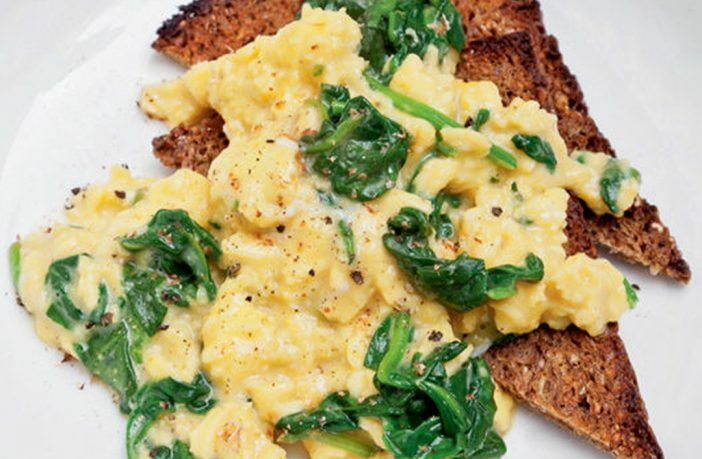 Both the grilled eggs and this scrambled egg are two star dishes that you can consume perfectly if you are a vegetarian. As we have already mentioned above, the egg is the protein with the highest biological value, making it an ideal food for the vegetarian and non-vegetarian athlete to replace those damaged tissues during exercise. 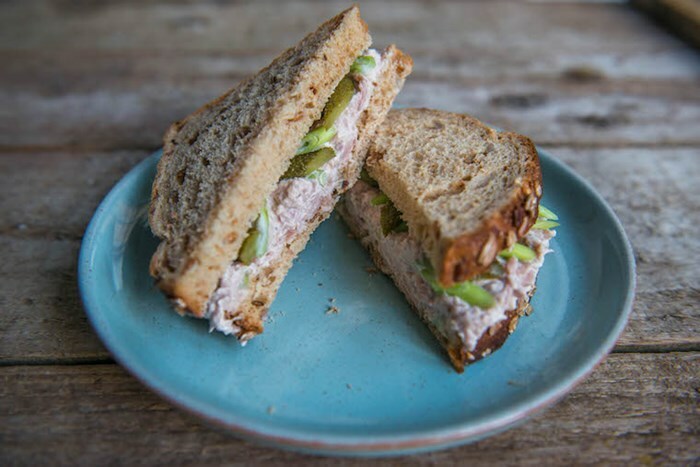 The combination with the wheat asparagus containing multiple minerals (potassium, phosphorus, magnesium) despite its low caloric intake, is ideal and always accompanied with a piece of rye bread of about 30 grams so that the recharge of glycogen stores be optimal. 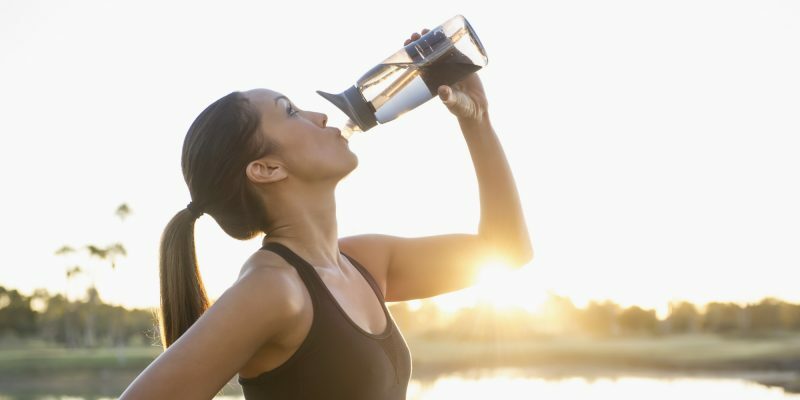 It is important to add that it is equally important that during and after exercise you recover the fluids that you have lost through sweating, and depending on whether the effort has been moderate or not, you will only need to replenish it with water (most of cases), or with mineral-rich beverages. 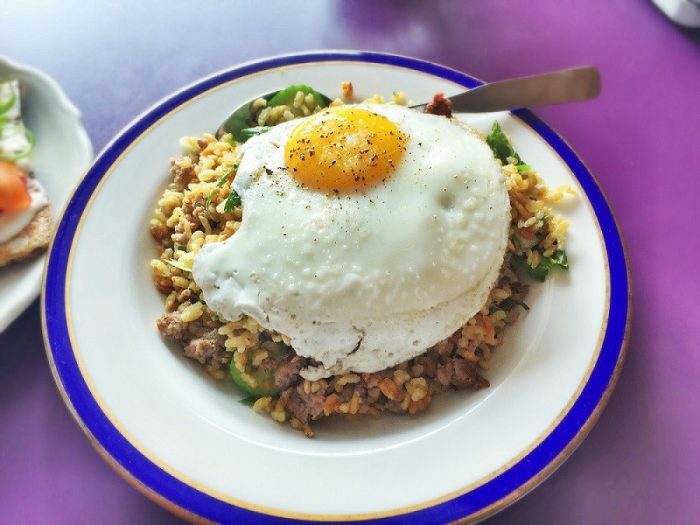 Now you know several dinners that you can alternate so that your body replenishes after the effort and your performance is the maximum to overcome your goals. Go for it! If the goal of your training is to hypertrophy and increase muscle mass you should follow a different diet than you would if you wanted to lose weight. In this case, apart from the water, you must eat proteins of fast absorption and abstain from sugars to help the maximum to the synthesis of proteins. 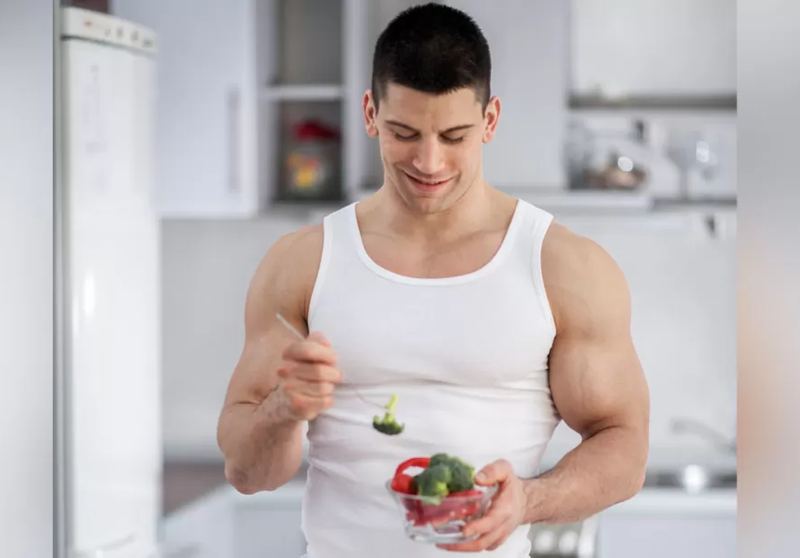 On the other hand, if you want to burn fat to lose weight you do not need solids that give you energy immediately, while you need plenty of water to eliminate toxins and stimulate sweating. Your food should be between 1 hour and 2 after training, preferring those products of slow digestion, so that the body continues to use fats for energy. 1 apple – without peeling the skin. Skimmed yogurt with chopped fruit. 1 glass of milk with a handful of nuts. 1 glass of milk with oatmeal. Half sandwich of whole grain bread with fresh low-fat cheese. If you want to read more articles similar to what to eat after workout at night , we recommend you enter some valuable article.